54" x 84" sweatshirt blanket. 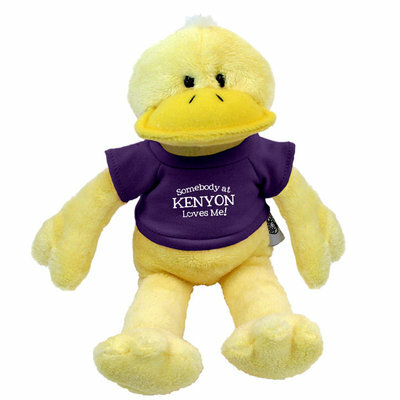 Purple screenprinted "KENYON COLLEGE" on gray blanket or white screenprint on purple blanket.. 80% Cotton, 20% Polyester. 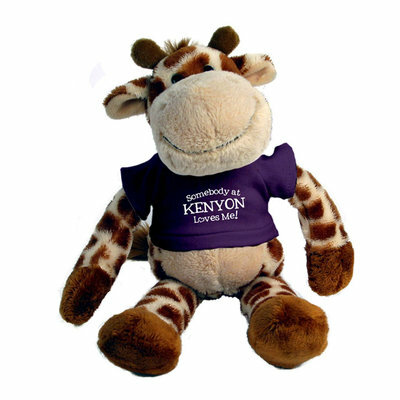 This sticker is approximately 3x4 inches and perfect for your car window, water bottle or wherever you'd like to show Kenyon spirit! Made from luxurious genuine full grain leather with tweed lining. 16" wide by 12" high by 4" deep. Superior quality full grain leather makes this duffel one that will last a lifetime. Embossed with Kenyon Shield. 23" wide by 12" high by 8.5" deep. Choice Westbridge leather exterior and trim, and stylish fabric interior featuring zippered pocket, pen loop, and document pockets. Fits standard sized 8.5" x 11" notepads. Two-tone leather tote. Embossed with Kenyon Shield. 13" wide by 18" high. 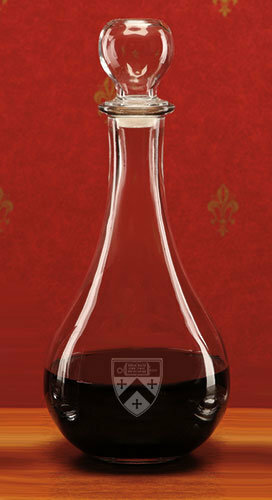 Campus Crystal 42oz wine decanter featuring Kenyon shield.